Most of the above equipment (and more) can be obtained in the so-called Starter Kits. Such starter kits make for great fun, since they often include a wide variety of sensors and actuators for you to play with. For examples, refer to https://www.dfrobot.com/category-173.html. 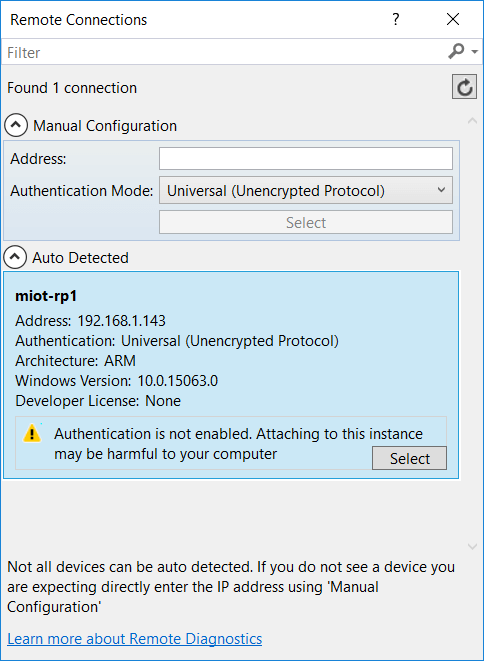 Installing Windows 10 on a Raspberry Pi is both free and very easy. Microsoft has developed a tool for this purpose: the IoT Dashboard. Apart from allowing you to download and install Windows 10 on your devices, it also helps you manage your devices in the network. It’s a very handy tool and does not require you to learn any command-line syntax. You can download and install the IoT Dashboard from https://developer.microsoft.com/en-us/windows/iot/docs/iotdashboard. The IoT Dashboard is a Windows 10 app. Once it’s running, you can choose to right-click on its icon and select Pin to taskbar, so that you can easily find it later. You can use the Raspbian operating system instead. It’s based on Debian. 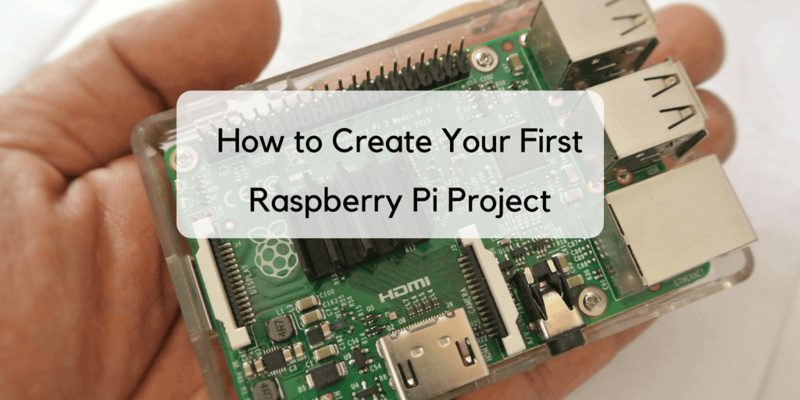 Follow the instructions given in https://www.raspberrypi.org/documentation/installation/installing-images/ to know how to download and install. Instead of compiling your project as a .NET Core application, compile it as a standard .NET Framework application instead. Run the application using Mono; refer to http://www.raspberry-sharp.org/eric-bezine/2012/10/mono-framework/installing-mono-raspberry-pi/. Select Set up a new device in the left-hand menu. This will open a simple form. 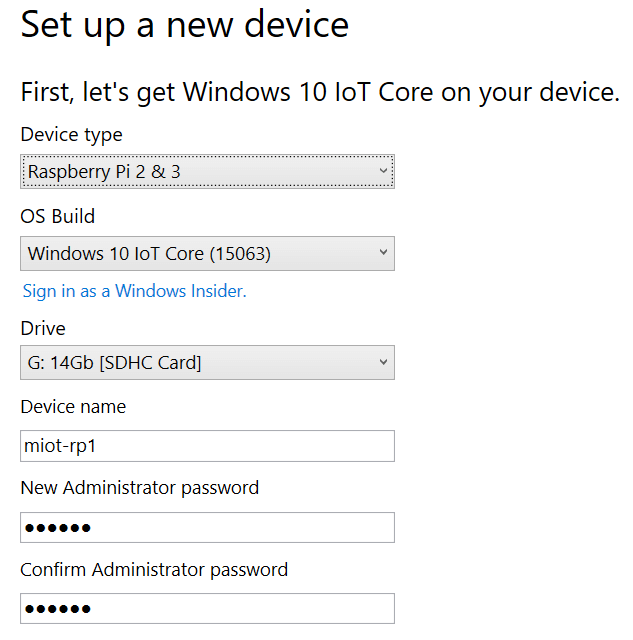 Select your device (Raspberry Pi 2 & 3) and the OS you want to download and install (Windows 10 IoT Core). You need to confirm whether you really want to format the memory card and install Windows 10 on it. All the previous data on the card will be lost. The IoT Dashboard then goes on to download the operating system and prepare the memory chip for you, including configuring the device according to the settings you’ve provided. This process includes performing some command-line tasks, so you will see a terminal window appear temporarily. When the device appears in your list of devices, right-click on it and select Open in Device Portal. Your browser should open and prompt you to login. The username is Administrator. Enter the password you provided when you prepared your memory chip. Configure basic device settings (you should update your time zone at this point). Remotely view what’s on the screen. This will come in handy, especially for devices that are not connected to monitors. Press the Capture Screenshot button to try this out. View processes and system performance. In projects where you want to use the Arduino in conjunction with the Raspberry Pi, you typically use an Arduino board that is mounted on top of the Raspberry Pi. This board also needs to be prepared. You do this using the Arduino IDE software, which can be downloaded from https://www.arduino.cc/en/Main/Software. There are setup applications for Windows, Linux, and MAC. To access analog sensors on a Raspberry Pi, you need to add circuitry supporting serial communication to your board since it’s not supported by default. One way is to use I2C or SPI circuits with analog to digital converters. Another way is to use an Arduino board. Arduino is a programmable chip and, as such, you can program your own firmware with your own serial protocol inside. A simpler method is to use the well-used and battle-tested Firmata protocol. Software for this already exists and is available in the Arduino IDE directly. Libraries for Firmata exist in many languages. Connect your Arduino board to your PC using a short USB cable. Load the Firmata application into the IDE. This is done by selecting File, then Examples, Firmata and Standard Firmata from the menu in the Arduino IDE. Specify the serial port you connected the Arduino board to. This is done under Tools and Port in the Arduino IDE. Next, you need to specify the type of Arduino you’re using. If you’re using an Arduino Starter Kit, the name should be listed in the specification. You’ve to select the board under Tools and Board in the Arduino IDE. Finally, upload the firmware to the Arduino board. You can do this by clicking on the Upload button. Your Arduino board is now prepared with the Firmata firmware. Without disconnecting your Arduino board from your PC, you can test that it works as it should. Since the Firmata protocol is well known, there exist a lot of applications on varying operating systems that can read sensors and control devices connected to Arduino. 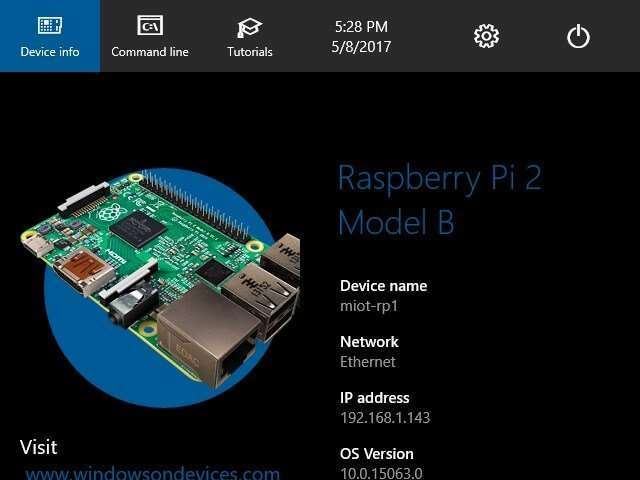 For the current purpose of building a Raspberry Pi project, you can use the Windows Remote Arduino Experience App. 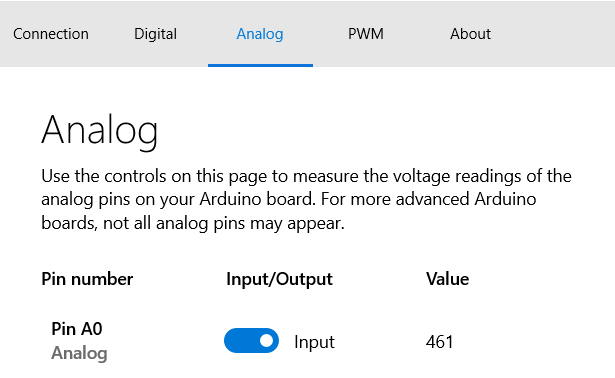 It can be downloaded from https://www.microsoft.com/sv-se/store/p/windows-remote-arduino-experience/9nblggh2041m. To test this software, you also need to connect some devices to it for testing. Connect the light sensor, PIR sensor, and relay module to it to see if you can access them. Make sure that you connect ground, power and signal correctly. 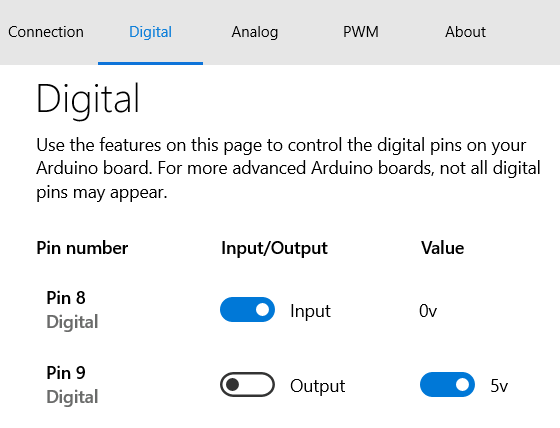 Also make sure that you differentiate between digital pins and analog pins on your Arduino board. For the purpose of this article, I’ve connected the PIR sensor to digital pin 8, and the relay to digital pin 9. The light sensor is connected to the analog pin A0. When opening the Windows Remote Arduino Experience App, you must first choose how the app will communicate with your Arduino board. Since it’s connected to a USB port, select USB in the Connection box and select a communication speed of 57600 baud. Next, the app makes a search and presents a list of devices. The Arduino board should appear. Select it and click the Connect button. Now that you know your Arduino is programmed correctly and that the values are reported as they should be over the USB serial cable, you’re ready to start programming. You’re now ready to start the actual coding. The first step is to choose a development environment. For .NET Core development, you can also choose to use Roslyn, which, apart from being open source, can also be run directly on Windows 10 IoT Core, including the version we use on the Raspberry Pi. For more information about Roslyn, see https://msdn.microsoft.com/magazine/mt808499. Another option, is to use Xamarin Studio. It’s a development tool focusing on cross-platform development using C#. With Xamarin, you can develop applications for IoT devices, smart phones, tablets, and PCs using the same code base. It runs on both Windows and MAC. The community-edition is free. For more information, see https://www.xamarin.com/studio. Since Microsoft acquired Xamarin, its cross-platform capabilities are also available in Visual Studio. A free version also exists. And Visual Studio can be run on MACs. In this article, we’ll be developing using Visual Studio 2017. For more information, see https://www.visualstudio.com/. 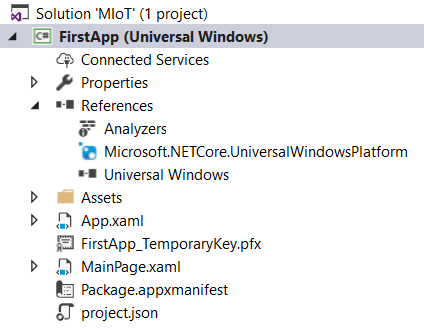 Since our Raspberry Pi now runs Windows 10 IoT Core, .NET Core applications will run on it, including the Universal Windows Platform (UWP) applications. From a blank solution, let’s create our first Raspberry Pi application. Choose Add and New Project. In the Visual C# category, select Blank App (Universal Windows). Let’s call this project FirstApp. Visual Studio will ask you for target and minimum platform versions. Check the screenshot and make sure the version you select is lower than the version installed on your Raspberry Pi. Proceed by adding functionalities to the app from downloadable packages, or NuGets. From the References node, right-click and select Manage NuGet Packages. First, go to the Updates tab and make sure the packages that you already have are updated. Next, go to the Browse tab, type Firmata in the search box, and press Enter. You should see the Windows-Remote-Arduino package. Ensure that you’ve installed it in your project. In the same way, search for the Waher.Events package and install it. Before you establish any communication with Arduino, you need to initialize the application by finding the OnLaunched method in the App.xml.cs file. After the Window.Current.Activate() call, make a call to the Init() method to set up the application. this.arduino.pinMode(13, PinMode.OUTPUT); // Onboard LED. this.arduino.pinMode(8, PinMode.INPUT); // PIR sensor. 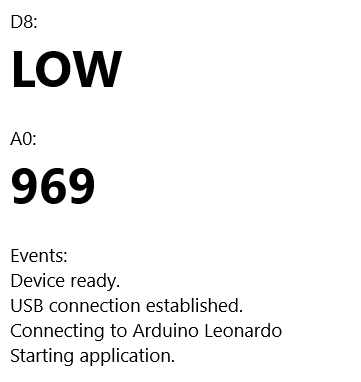 this.arduino.pinMode("A0", PinMode.ANALOG); // Light sensor. If you enjoyed this post and want to learn more about Internet of Things, you can read Mastering Internet of Things by Peter Waher, a hands-on book that will guide you through the advanced concepts of IoT in a lucid manner. I am looking for this, amazing information with images how to work and install.